Traditional tower desktops have had a good run. 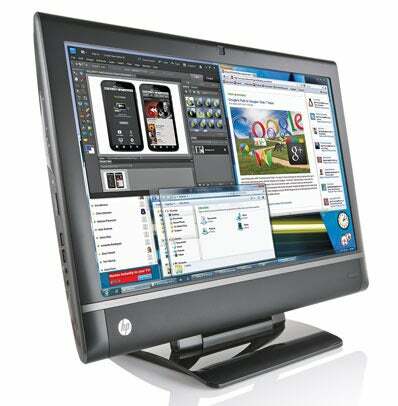 All-in-one PCs--expensive upstarts just two or three years ago--have all but usurped the throne. Towers will always have a special place in our hearts, as well as under the desks of enthusiasts and professionals who need more power and versatility. But for many PC users today, all-in-ones just make more sense. They take up a fraction of the space of a traditional PC, without sacrificing much in the way of performance. And that performance has improved while prices have dropped, so you don’t have to compromise. Most important, all-in-ones are paving the way for touchscreen adoption outside of tablets and smartphones. Touch and gestures are baked into the very core of Microsoft’s Windows 8, and all-in-ones will be ahead of the curve. 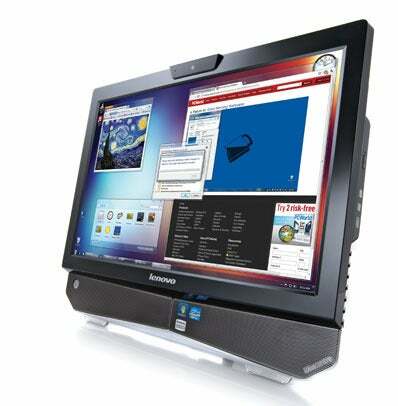 You’ll find no stronger evidence of the trend than the great selection of all-in-one PCs available today. 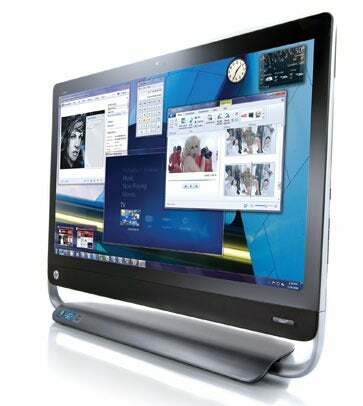 Big-name desktop makers such as HP and Lenovo offer a wide array of all-in-ones, and Dell has jumped in on the action. Even laptop manufacturers like Samsung have recently introduced their first all-in-ones (and, not coincidentally, their first desktops) in years. You can expect plenty more once Windows 8 arrives, and Intel’s Ivy Bridge CPUs will make all-in-one PCs faster and slimmer still. Overall, the options are great: If you’d like a large display to complement (or replace) a television, they don’t come any bigger than the HP Omni 27, a goliath with a gorgeous 27-inch screen. If you need to do some work, you’ll find plenty of strong performers: Lenovo’s ThinkCentre Edge line stands out, providing machines that are attractive, powerful, and stocked with security software and utilities that small businesses can appreciate. We tested all of these all-in-ones with our revamped WorldBench 7 benchmark suite, which pits PCs against a battery of tests based on real-world usage models. Be sure to read "How We Test PCs" to learn all about our new methods and the apps we use. 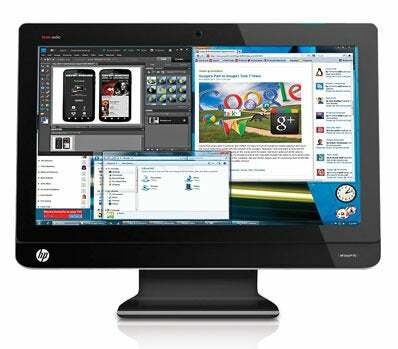 HP's 23-inch TouchSmart 9300 Elite is a business-centric, all-in-one powerhouse. It may not be much to look at--it's boring yet functional--but it delivers excellent performance and sits on an easy-to-adjust stand; the reclining design is very comfortable to use. It even tackles multimedia rather well. As befits a business PC, our test model ran the 64-bit version of Windows 7 Professional. If you’re seeking to get things done, this all-in-one fits the bill very nicely. When we first saw HP’s Omni 27 sitting in the PCWorld Labs, we were absolutely taken by its gorgeous, edge-to-edge, 27-inch glass screen. The rest of the design leaves a little to be desired, but this screen is definitely a step in the right direction. The only real complaint we have is that it’s not a touchscreen, which is pretty much standard for all-in-ones these days. Nevertheless, this is definitely an all-in-one that can double as a small television. In our tests, for example, Blu-ray playback was excellent, and HD video streaming looked very smooth. 3. 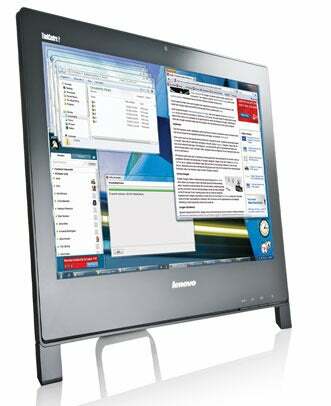 Lenovo IdeaCentre B320: HDTV, Budget All-in-One, or Just Confused? Lenovo bills the 21.5-inch IdeaCentre B320 as a “sleek desktop” with “two extreme missions”--to be an HDTV and to be a PC. It spreads itself a bit thin, however. It has an unusual mix of attributes, and its affordable price tag makes it a good fit for a cash-strapped college student in a small dorm room. But if you’re looking for stronger media capabilities and features (such as a Blu-ray drive) and you have a bit more coin to spare, a larger machine could be a more satisfying investment. HP’s Omni line is known for its speediness, and the HP Omni 220 Quad is no different--it's even faster than its predecessor, the Omni 200. It has a relatively small, 21.5-inch screen, and there are some caveats, but its overall power may convince you to overlook them. This fast machine packs a Blu-ray Disc player, too. The display is a bit less impressive, but if you’re shopping around for an affordable all-in-one that offers great general performance, this PC is not a bad choice. Designed for business users and running the 64-bit version of Windows 7 Professional, Lenovo’s ThinkCentre Edge 91z is a stylish 21.5-inch all-in-one system that boasts a sleek, edge-to-edge glass screen, as well as excellent overall performance. The M91z is not a high-end machine, so you do have to give up several fancy multimedia features such as a Blu-ray Disc drive and a discrete graphics card, but it should be fine for business users who want something a little nicer than the typical desktop. 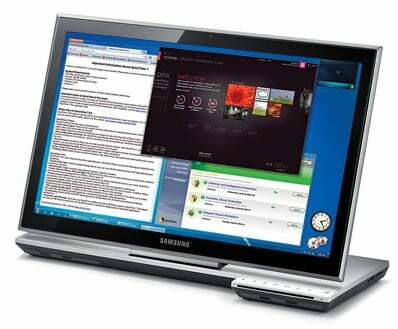 The 23-inch Series 7 All-in-One is Samsung’s first foray into the all-in-one desktop market, and it’s a beauty. Adequate performance, a svelte and stylish chassis, and a neat custom-touch interface--you’ll find a lot to like here. We would have appreciated a Blu-ray player and better gaming performance, and Samsung makes some mistakes that veteran all-in-one manufacturers wouldn't. 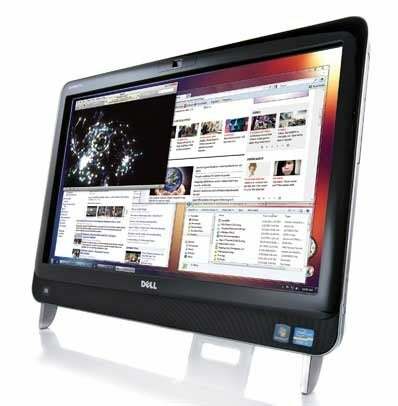 Still, some features, such as the screen's ability to lie completely flat, will appeal to many people, and overall this all-in-one offers a compelling design at a fair price. Dell’s 23-inch Inspiron One 2320 proves that you can get a lot for a decent price, including plenty of RAM, a fairly capacious hard drive, and a Blu-ray Disc player. You can’t get everything, however, and slightly more expensive systems deliver a better value. It isn’t such a bad choice if you’re on a budget--but you will have to live with this system's cheap-looking design, its somewhat inaccurate touchscreen, and its lack of USB 3.0 if you decide to go the low-cost route.